Actress Yoon Yeo Jung of ‘Noonas over Flowers’ is starring in a movie titled ‘Salut d’Amor’ which will premiere on April 9th. Among the actors who sent messages of encouragement and congratulations was Lee Seung Gi. Actually, all the actors are familiar to us through Na PD and Lee Seo Jin, so I will provide a full translation of the clip. Choi Ji Woo: Hello, I’m Choi Ji Woo. I’m cheering on Teachers Park Geun Hyung and Yoon Yeo Jung. I’m really looking forward to their sweet melo acting. Lee Seung Gi: As a person gets older, their thinking becomes much more mature. It’s true that many things grow and change but I think the pureness of love is similar even if one ages. I didn’t think that there were very many genres like that in South Korea. I would like to see the two Teachers show us what it’s like. Lee Soon Jae: Needless to say, both are experts at acting. I believe a magnificent harmony will result since they are distinguished actors. Na Young Seok PD: Probably more than young people, I believe their relationship and story will make hearts flutter even more. The body may age but honestly, the heart is the same. Lee Seo Jin: The way a person expresses him/her self and the situations of that generation may change a bit, but love always remains the same. Kim Hee Ae: If there was no love in this world, how desolate and awful would it be. Love should always lie as a base (foundation); then how happy things will be. Lee Soon Jae: I’m thinking that Director Kang Je-gyu will have another masterpiece. Lee Seo Jin: Obviously, the expectations for this movie are very high. Kim Hee Ae: I really wish for it to be successful. Na Young Seok PD: I am cheering on Salut d’Amor! Lee Seo Jin: I’m cheering on your love story! Kim Hee Ae: Cheering you on! Choi Ji Woo: If you love, do it for a long time! Lee Seung Gi: If you love, do it for a long time! Lee Soon Jae: If you want to live a long time, love. Male voiceover as Yoon Yeo Jung and Park Geun Hyung are dancing in the movie: What does your final love look like? Yoon Yeo Jung as she cries and holds Park Geun Hyung’s hands: I’m sorry. Park Geun Hyung: Promise me. No matter which of us dies first, let’s not cry. Male voiceover: Director Kang Je-gyu’s first moving drama, Salut d’Amor. Categories: Drama, Movie, Na PD, Nunas over Flowers, translation, Video | Tags: Choi Ji Woo, Kim Hee Ae, Lee Seo Jin, Lee Soon Jae, Na PD, Park Geun Hyung, Salut d'Amor, Salut d'Amor premiere, Yoon Yeo Jung | Permalink. Categories: fanpic, Nunas over Flowers, Photos, translation | Tags: Kim Hee Ae, Lee Mi Yeon, Lee Seung Gi, Noonas over Flowers, photo, Vogue, Yoon Yeo Jung | Permalink. If you’re an Airen, you’re most likely going to remember Kim Ja Ok as one of the senior actresses who went to Croatia on tvN’s ‘Noonas over Flowers’. 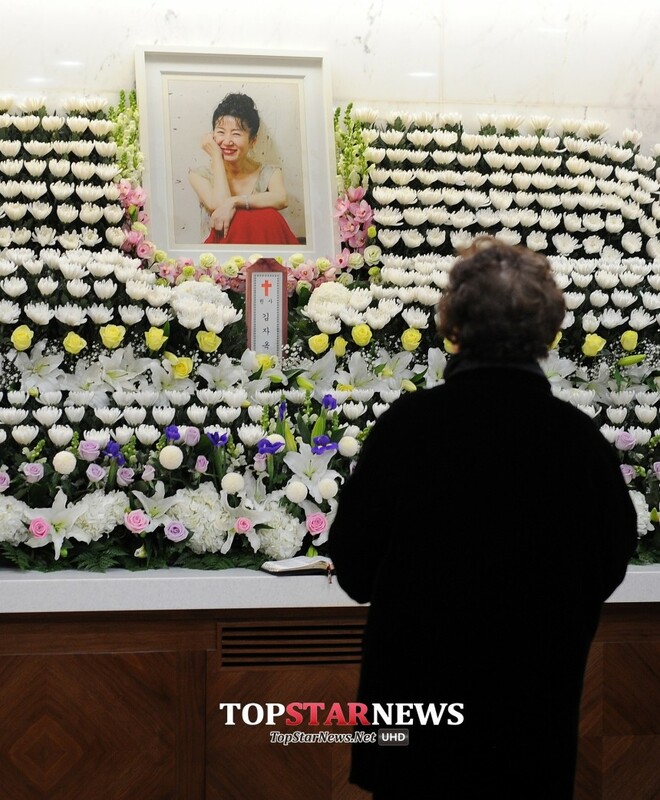 Sadly, she passed away early Sunday morning at 7:40am KST due to complications from lung cancer. She was 63 years young. She was originally diagnosed with colon cancer and had surgery to treat it in 2008. She also underwent chemotherapy in the last years of her acting career. However, it had spread to her lungs, and very shortly after she was hospitalized for complications on November 13th, the world lost a great actress on the morning of Sunday, November 16th KST. Lee Seung Gi and Kim Ja Ok shared a special bond together as their lives crossed paths on last year’s variety show, ‘Noonas over Flowers’ directed by Na PD. She was hesitant to go but was urged by long time friend and Sunbae, Actress Yoon Yeo Jung, to accompany her on the trip. 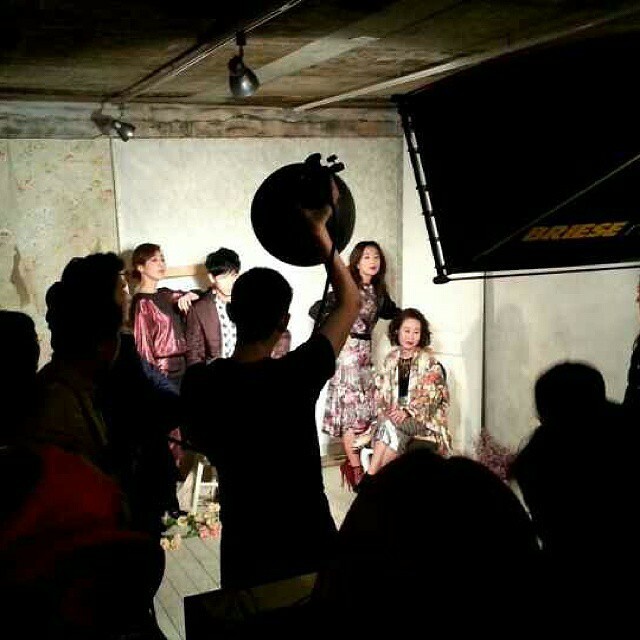 The other two actresses who joined them were hoobaes, Kim Hee Ae and Lee Mi Yeon. Kim Ja Ok held a motherly affection for Seung Gi and said in an interview on the show, “When I see Lee Seung Gi, I am reminded of my son”. She also said to Seung Gi,”You’re like my son”. Many insiders expressed their sadness at the fact that she left this world without being able to attend her son’s wedding set for next March. Lee Seung Gi appeared at her mortuary this afternoon at Catholic University’s St. Mary’s Hospital in Seoul, Banpo-dong to offer his condolences. According to press articles, he was teary eyed and red. He was solemn and his expression was of one in mourning. Lee Seung Gi was quoted as leaving a brief statement. “I’m sorry that I was very busy.” Due to his tight schedule, the press said he arrived at 4:27 pm KST and spent 20 minutes before leaving the hospital at 4:47 pm KST. Netizens said,”The friendly image between Lee Seung Gi and the late Kim Ja Ok makes me feel sadder” , “Lee Seung Gi’s shock upon hearing the news of Kim Ja Ok’s passing must also be great”, “I hope that Kim Ja Ok is in a better place”, “That time (on NoF) was so heart warming and nice”. etc. were some of the reactions. 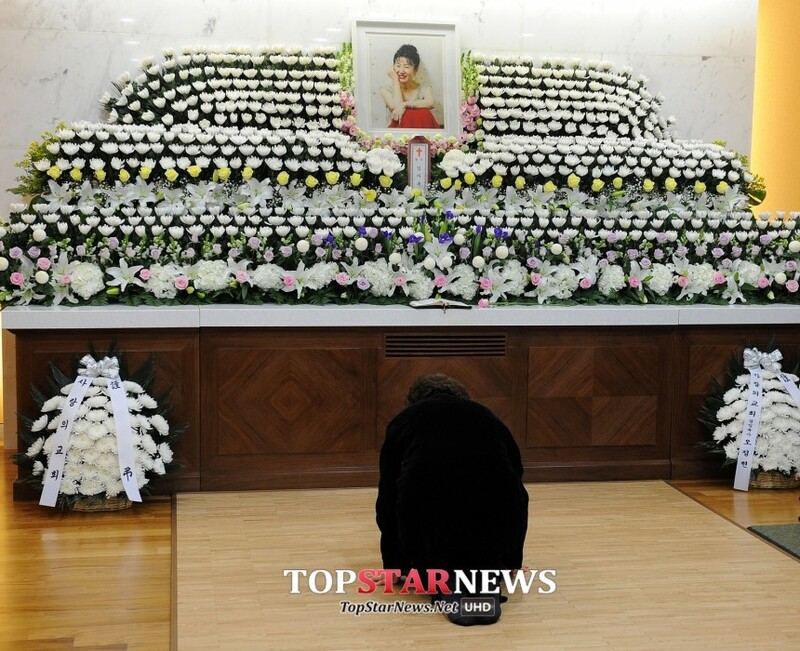 “Although we can’t hide our pain and sorrow, we were really happy to have been able to be together with you, Ja Ok Noona. How nice it would be if the words you spoke about; positivity, courage, and happiness would be relayed to more people. Categories: Event, Nunas over Flowers, Video | Tags: Kim Ja Ok, Lee Seung Gi, Noonas over Flowers, video | Permalink. Categories: dclsg, GIFS, Na PD, Nunas over Flowers, Variety show | Tags: イ・スンギ, GIFS, Noonas over Flowers | Permalink. 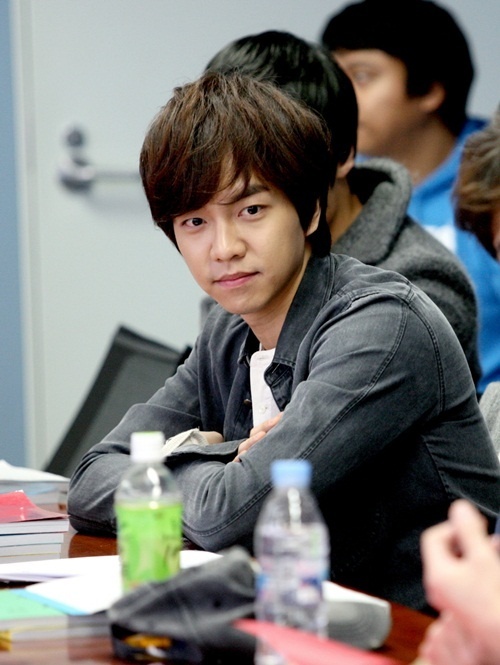 Photos of Seung Gi during Scriptreading ~ Prepare For Pics of him in You Are All Surrounded! These photos were uploaded by a dclsg member late last night of Seung Gi during various script readings. One of them appears to be for Noonas over Flowers. Comments on her post in dclsg from members ranged from “He looks great!” to “Soon we can anticipate photos of him reading for his new drama”. Categories: dclsg, Na PD, Nunas over Flowers, Photos | Tags: photos | Permalink. Categories: Na PD, Nunas over Flowers, translation, Variety show, Video | Tags: Noonas over Flowers, Nunas Over Flowers | Permalink.